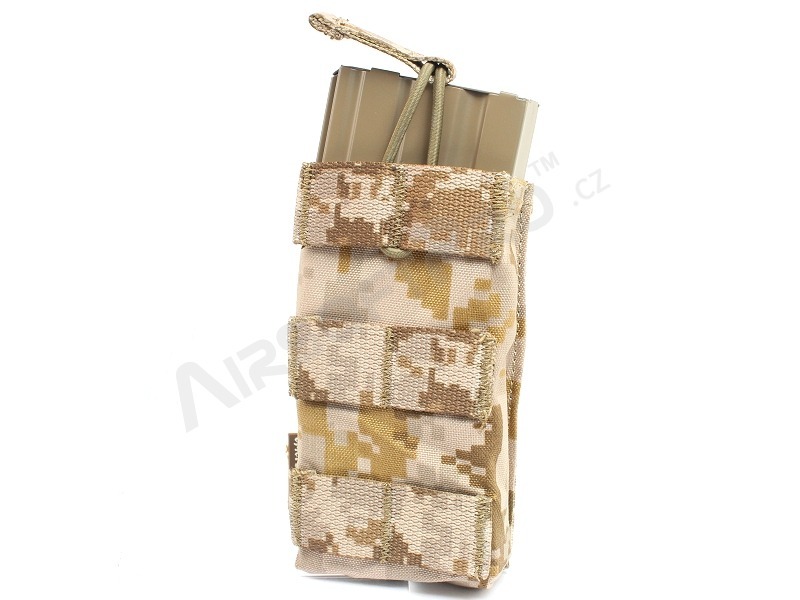 Functional double modular rifle magazine pouch magazine by EmersonGear®. It is made of durable nylon 500D. 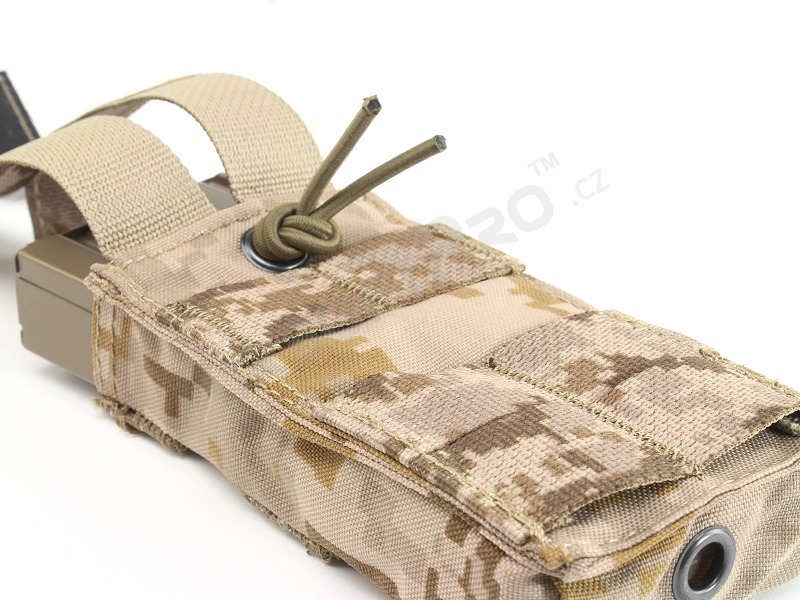 The pouch with Molle webbings. 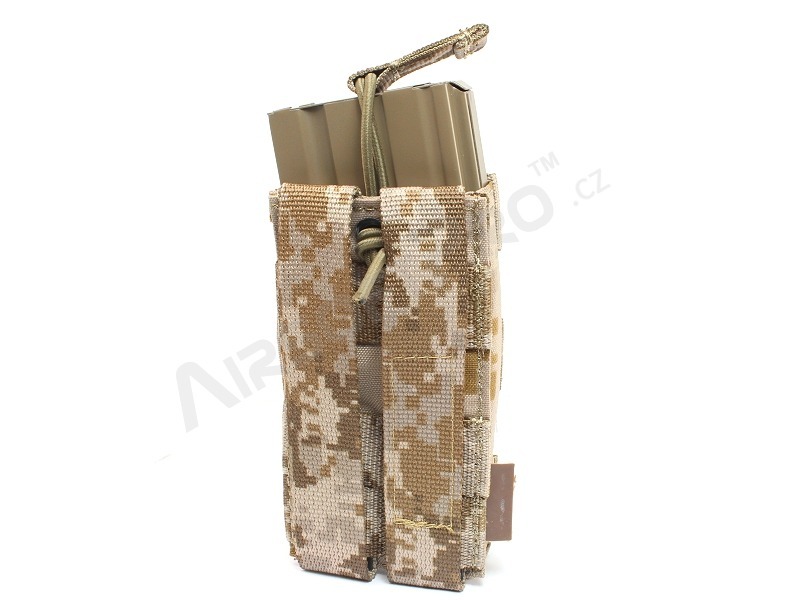 Can fit one M4 style magazines, fixed by rubber fix. 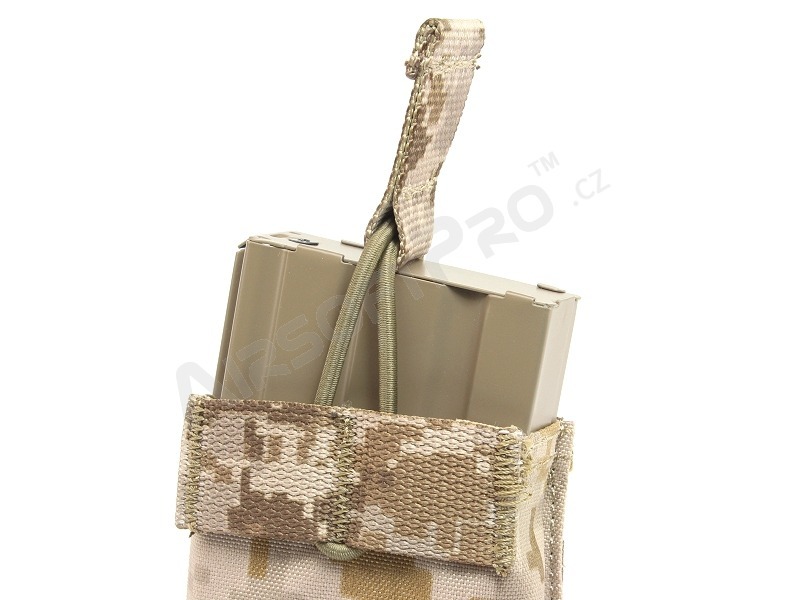 Pouch is not only for war games, but due to high quality can be also used for real service by law enforcement or military use.